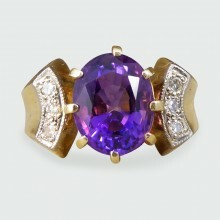 Starring in this ring is a 3.05ct Amethyst gemstone showing such a beautiful and vibrant purple colo.. 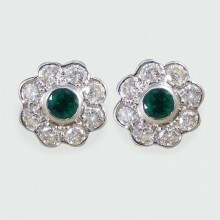 This glorious vintage cocktail ring features one large Citrene gemstone weighing 15.55ct in a deep y..
A lovely piece that will stand the test of time, these beautiful Emerald and Diamond earrings with a.. 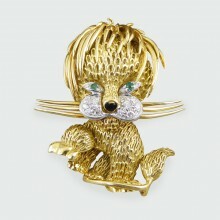 This Vintage brooch has been hand crafted from 18ct Yellow gold in the shape of a Lion with Diamonds.. 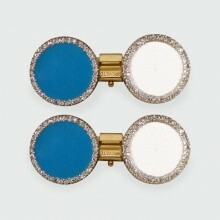 Such a charming pair of cufflinks with an unusual twist. 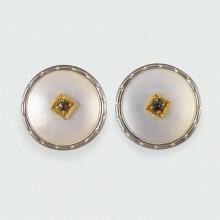 Normally featuring a Diamond centre, these .. 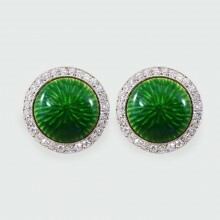 These mesmerising contemporary cufflinks hold a circular green enamel centre with a Diamond halo sur..
With the maker "GHISO", these well made circular cufflinks were hand crafted in the Edwardian era, s.. 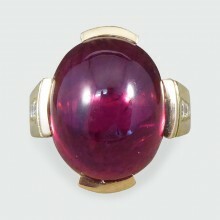 This stand out Contemporary Ring features ones large Cabochon Tourmaline showing deep red/fuchsia co.. 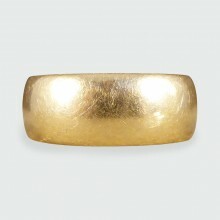 Looking for a large statement ring? 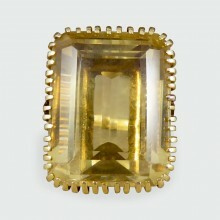 This one holds a huge, over 50ct Citrene, held securely into pla.. 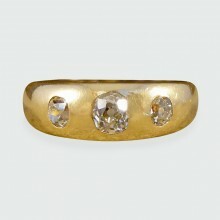 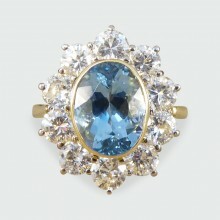 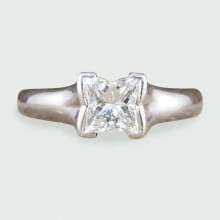 This antique Victorian three stone Diamond gypsy ring has a max band width of 6.5mm and a min band w.. 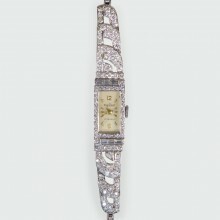 This gorgeous Diamond Exquisite watch is a fully working watch but can also be worn just for its aes.. 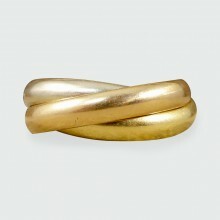 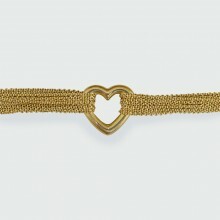 This Vintage les must de Cartier trinity band rolling ring is such a beauty. 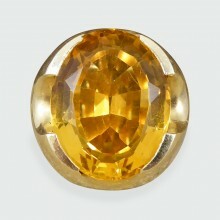 Featuring three 18ct Go..